Suppose one of the big-threes is given a military low-bypass turbofan core, how difficult would it be to produce a design centered around this core that matches the competitive performance of a similar brand-new design? What parts are new aside from the fan? Does it need a new LP compressor and LP turbine? Can you safely crank up the overall pressure ratio, confident in the fact that the original design's tolerance for supersonic flight would mean the HP compressor has the ability to take the heat of higher compression subsonic flight and hence needs no modification at all? As of 2015, the #1 selling jet engine, the CFM56, is exactly that. The core is from the General Electric F101, which powers the Rockwell B-1 Lancer no less. The development was shrouded in secrecy, and politics were involved, and at least at one point only the Americans had access to the core details, while the French built around it (the new LP spool – which does include the turbines). Engines assembled in France were subject to the initially strict export agreement, which meant that GE's core was built in the U.S., then shipped to the Snecma plant in France where it was placed in a locked room into which even the President of Snecma was not allowed. The linked Wikipedia featured article is a must read, and trying to summarize it here wouldn't do it any justice. But yes, it's not only possible, it's been done. Judging by the specifications, the civilian CFM56 has higher OPR (a jump from 26.8 to upwards of 27.5–38.3 depending on the variant). 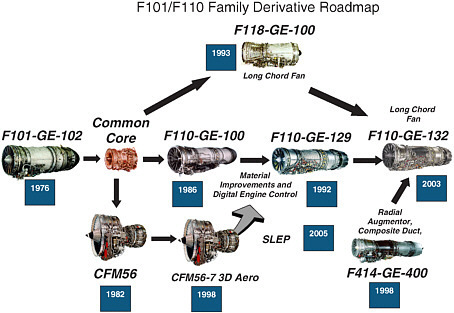 According to the image above and this webpage, technology from the CFM56 fed back into the F110, which went on to power the F-14, F-15, and F-16. Not the answer you're looking for? Browse other questions tagged jet-engine engine-design or ask your own question. How are the accessories of fighter jet engines oriented (Turbojet or Low-Bypass-Turbofan)? How was the high-bypass concept invented? How do turbofan nacelle lengths compare? 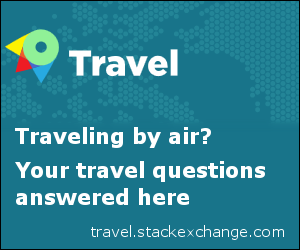 Why does a turbofan engine force bypass air into a smaller space?